It also said the United States should stop such "anachronistic" policy towards North Korea. 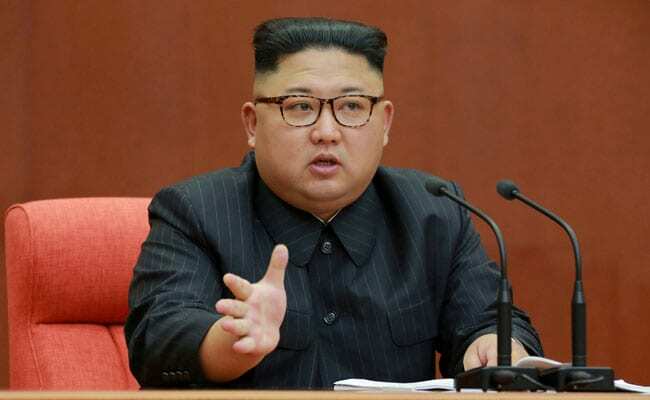 Seoul: North Korea on Saturday condemned the latest U.S. sanctions announced this week aimed at curbing the isolated nation's development of nuclear weapons. The U.S. sanctions are "a manifestation of heinous intention to throw a wet blanket over the inter-Korean exchange and cooperation and to aggravate the situation," an unnamed North Korean foreign ministry spokesman said in a report by the Korean Central News Agency. The United States announced new sanctions on Wednesday aimed at stopping North Korea's nuclear weapons development and urged China and Russia to expel North Koreans raising funds for the programs. The U.S. Treasury imposed sanctions on nine entities, 16 people and six North Korean ships it accused of helping the weapons programs. It said two China-based trading firms were involved in exporting millions of dollars worth of metals and other goods used in weapons production.